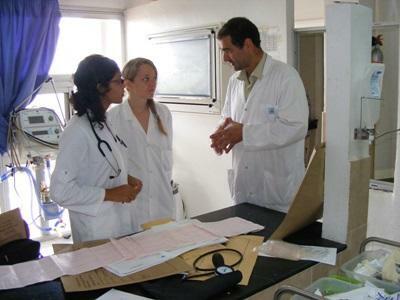 Volunteering in the field of occupational therapy in Morocco is an eye opening experience. You will be working in schools and day-care centres where facilities may not be to the standard you are used to. With creativity and enthusiasm, you can really help to make a difference to the children and young adults you will be working with. You could volunteer in day-care centre for children ages 3 -12 who have a variety of learning disabilities and special needs. The centre has gardens and a small area for animals which are sometimes use for therapy treatments, the centre also encourages creativity and learning. We also have a placement in a school for girls with mental disabilities. Here the focus is on developing independence and integration into mainstream society. At your placement you will support the teachers and local staff. You will work with the children in groups and one-to-one to identify suitable activities and daily routines that will help improve their quality of lives. If you have significant experience, you may also be able to help train local staff. Volunteers joining this project should have completed a minimum of one year’s occupational therapy study. Volunteers should speak a good level of French or Arabic in order to fully participate in the project. This project is not available from mid-June to mid-September. By living with a local host family while you volunteer, you will be welcomed into a warm Moroccan home and can use the opportunity to hone your French or Arabic language skills. In your free time, there are plenty of opportunities to socialise with other volunteers and local people, as well as plenty of travel opportunities.